AMD: AMD designs and integrates cpu's and chipsets that powers millions of intelligent devices, including personal computers, game consoles and cloud servers. AMD's mission is to be the leading designer and integrator of innovative, tailored technology solutions that empower people to push the boundaries of what is possible. ASUS: ASUS is a Taiwanese company which is one of the biggest computer hardware and electronics manufacturer headquartered in Taipei, Taiwan. The company's slogan/tagline was "Rock Solid. Heart Touching", then "Inspiring Innovation. Persistent Perfection." and is currently "In Search of Incredible. We are the authorized distributor of their networking products. BENQ: BenQ Corporation – a world-leading human technology and solutions provider driven by the corporate vision of “Bringing Enjoyment ‘N’ Quality to Life” to elevate and enrich the aspects of life that matter most to people today – lifestyle, business, healthcare and education. BENQ is the market leader for DLP Projectors. GIGABYTE: Gigabyte is the leader technology inventor in Motherboard and Vga card business all around the world. With its high quality production standarts and from entry level to top notch product portfolio, Gigabyte is the choice of many customers.We are also carrying the brand’s Desktop Mini PC’s and peripherals. HYPERX: HyperX is the performance brand of the Kingston (biggest independent memory manufacturer in the world). HyperX brand was born with one PC-memory line on 2002 and now it has SSD's, USB memories, gaming headsets and gaming mousepads on productline. SAPPHIRE: Sapphire is the leader in the AMD Radeon side of the VGA card business in Turkish market and one of the biggest VGA card producer in the world. PNY: PNY is the leading Quadro Professional VGA Cards partner for Nvidia. They are also manufacturing Geforce VGA Cards, SSD, Flash Memory and Accesories. ZOTAC: Zotac is a computer hardware company producing mini PCs, nettops, and Nvidia based graphics cards. TENDA: Tenda Technology is the recognized leader in wireless and LAN networking for consumer, SOHO and small business users. Tenda strives to deliver easy-to-install and affordable networking solutions for its customers offering innovative, award-winning products that enhance peoples live and productivity. ATI/AMD: AMD/ATI is one of world's respected technology companies. 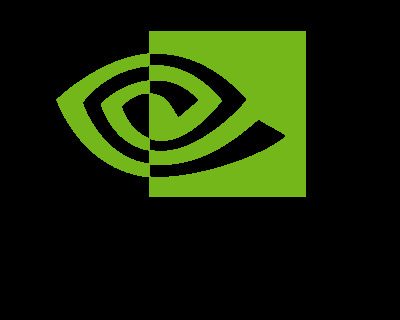 It still is sharing graphics unit market with NVIDIA globally. NVIDIA:NVIDIA which invented Graphics Process Unit (GPU) in 1999 still has patent over 1600 and leader of world's graphics unit market. NZXT: NZXT is an American computer hardware manufacturer based in Los Angeles, California. The company is best known for being a major manufacturer of computer cases, components, and accessories for the PC gaming market. Samsung: Samsung Group is a South Korean multinational conglomerate headquartered in Samsung Town, Seoul. It comprises numerous affiliated businesses, most of them united under the Samsung brand, and is the largest South Korean chaebol. Samsung was founded by Lee Byung-chul in 1938 as a trading company. Over the next three decades, the group diversified into areas including food processing, textiles, insurance, securities, and retail. Samsung entered the electronics industry in the late 1960s and the construction and shipbuilding industries in the mid-1970s; these areas would drive its subsequent growth. Since 1990, Samsung has increasingly globalised its activities and electronics; in particular, its mobile phones and semiconductors have become its most important source of income. As of 2017, Samsung has the 6th highest global brand value.